You’ll hopefully have been keeping up to date with the #DreamRunDublin18 project, which we are involved in within Rio Olympian Paul Pollock? In the second edition of the Project, Paul has chosen a group of 10 athletes who he will help towards a sub 3-hour finish at the Dublin Marathon. There is just over 2 weeks until the SSE Dublin City Marathon, which incorporates the AAI National Marathon Championships. In the run up to race day, we have been featuring all athletes, asking about the project, their training and their hopes and expectations going forward. Following on from excellent interviews with Conor Hogarth, Tracey Atkinson, Adam Ferguson, Eamonn O’Reilly, Peter Thompson and Philip McBride, we’ll now catch up with Dromore AC’s Wesley McDowell and see how he is getting on as part of the #DreamRunDublin18 team. How do you feel training has been going since you joined the #DreamRunDublin18 team? Since joining the group, I think I adapted very quickly into Paul’s way of thinking. Having the upmost respect for my own coach Michael McGreevy of Dromore AC, Paul was going to get the same respect as he deserves as a top coach. From the start the training has been going great, I’ve really taken to the whole routine and it fits well into my every day commitments. Initially at the start I was convinced I would be training every day, covering 70/80 miles a week, so to my surprise my average weekly mileage has been around 50 miles a week with 2 rest days. Every week Paul is setting up a new plan, which he sends through every Sunday, so I am able to get prepared for the week ahead. The plan contains different sessions and paces matching my ability, which have been pretty accurate. How has your training changed since joining the #DreamRunDublin18 team? 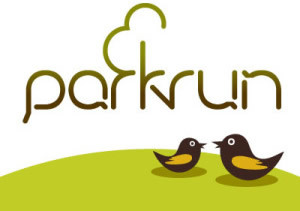 The structure of the training has been pretty similar to what I have been doing at my local club with Tuesdays and Thursdays key sessions midweek and the long run on a Sunday. However the intensity of the long runs which are scheduled for Sundays has been tough especially at the start, but as the training progressed I’ve felt more comfortable. At the start of my marathon training I must say there was few inconsistencies in my paces and often I was training too hard which was quickly replied by few stern words from the Olympian! The focus is of course on getting that sub 3 hour finish time at the Dublin Marathon 2018, do you believe you can achieve this? Have things progressed the way you’d hoped? Yes, I believe the sub3 is well within my capabilities, as one of the strongest runners from the group, I can’t say I don’t believe, as all my training sessions have been near perfect! Well apart from one fifteen miles run at marathon pace that didn’t go to plan, throwing a few self doubts into my head, but after sitting down with Paul and going through what went wrong, I was quickly back feeling stronger and faster than ever before! Being realistic, 5 months training isn’t going to turn me into a great marathon runner, but I do believe it will give me a strong foundation using Paul’s training strategies to build on going forward, as I already have personal bests in every other distance since joining the project. What has been your highlight in terms of your own personal favourite performance since joining the #DreamRunDublin18 team? Definitely the sub 35 10k in London, just 3 weeks after joining the group and more recently smashing my half marathon PB finishing strong and putting me in the right frame of mind with the marathon only weeks away. What has been your favourite training session since commencing training with the Paul Pollock and the #DreamRunDublin18 team? Mmmm? I can hardly remember yesterday’s session – lol. I have really enjoyed all the sessions, I like to rise to the challenging of hitting the times that Paul has set out, picking one, would be the 2 sets of 5×800 with 1 min recovery between the 800s and 3 min recovery between the sets. It was a very warm night and ended up achieving the paces set out for me and coming away full of confidence! Oops! How could I forget the 2 sets of 2 miles with the hill repeats in the middle, on one of our group meet ups. Paul’s medical knowledge was nearly called upon that day! 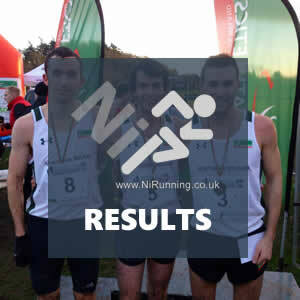 Yes, the Northern Ireland Masters Cross Country Championships and Trials for the upcoming British & Irish Masters XC Championships in Wales. I’m really excited about having the opportunity to be able to try and qualify to represent my own country. It would really make me feel proud if I made the selection for the team. I know my training hasn’t been specific towards the cross country, but hopefully the strength training for the marathon, will give me the opportunity of reaching my goals, if not this year hopefully in the future. I’ve really enjoyed meeting up on the training days, because most of my training has been carried out on my own. So meeting up with the group gives me a chance to see how everybody else is progressing. I have been often paired up with Adam Ferguson which has been great, as there has been a bit of a competitive edge between us, therefore keeping me on my toes. Now knowing that the next group meet will be at the start of the marathon, I want to wish everyone the best of luck! I will miss the WhatsApp group chats, but gained new running buddies. Lastly I would like to thank everyone that was involved in the project! Dave Woods (sports psychologist) Ramey Adams (strength and injury prevention) for taking their time out to share some strategies with us, friends and family for their support, Ryan Maxwell (N.I Running) for the opportunity to be involved in the project and to the coach Paul Pollock, who I wish all the success in the future as an athlete and coach. There is no question that since the beginning of this year’s project, Wes has been at the forefront of the group. At the age of 40, and a 3:39 marathon personal best to his name, he is in fantastic shape. As the project has progressed, Wes has gone from strength to strength. While it took a few weeks for him to adjust to running to a set pace, as a coach, I could not be happier with his improvement. He has benefited from having an injury free build up over the past number of months, which has been reflected in his multiple personal bests over several distances. His talent, combined with his unwavering work ethic, means that he is in shape to run well under three hours in Dublin this year. With a very strong recent half marathon performance in Belfast, he should be going into this weekend’s Masters XC championships and then the marathon itself, full of confidence and expectation. 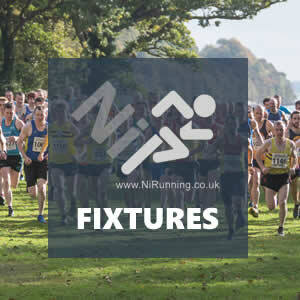 Weekend Preview: Athletes seeking NI selection at NIMAA XC… and more! Mark McKinstry and Catherine Diver secure top honours at NIMAA XC 2018!